Applied Micro X-Gene is the very first processor to use ARM 64-bit architecture (ARMv8), not Cortex A53 or Cortex A57, but a custom implementation, and last year we’ve seen the company’s ARMv8 development board running 4 Linux virtual machines via KVM. The platform, called X-Gene X-C1, can now be pre-ordered to develop private cloud, public cloud, and enterprise applications. There’s a little bit information about software support in a presentation by Jon Masters, Red Hat’s chief ARM architect, at LISA (Large Installation System Adminitration conference) 2013, at the end of November of last year. At the time, X-C1 was running Fedora 19 Remix and only supported Aarch64, not Aarch32 (32-bit ARM), with over 12,000 packages available including LAMP stack, and GlusterFS. 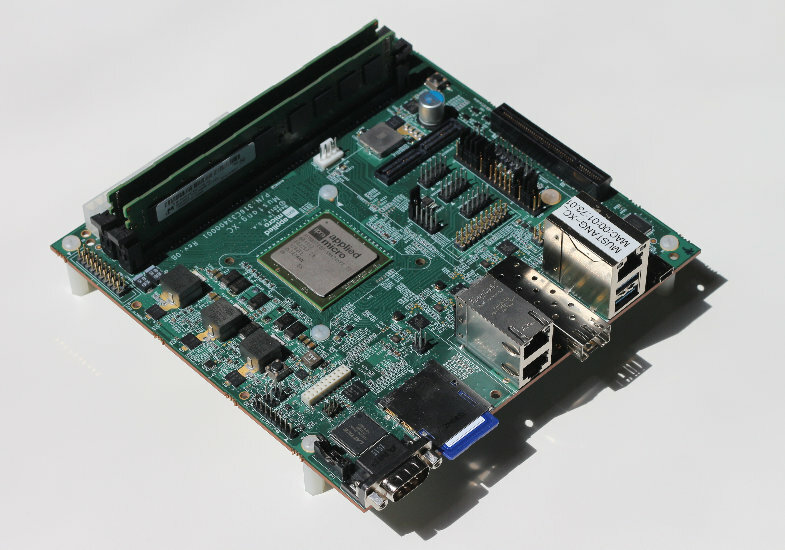 After registration, and manual approval, you can get more information and pre-order the development board on https://myxgene.apm.com/ which happens to be hosted on the X-C1 development board. 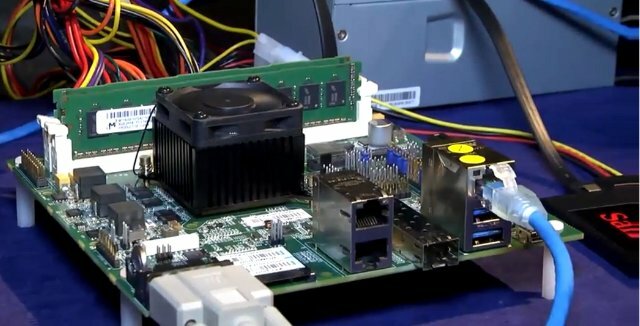 There’s no mention of the price on Applied Micro website, but Legit Reviews checked out the board at ARM Techcon 2013, and was told it would cost $5,000 and be available in Q1 2014.